Airports International has reported on the airport industry since 1968 and has gained a reputation for keeping the industry abreast of the most significant international developments and technological innovations. 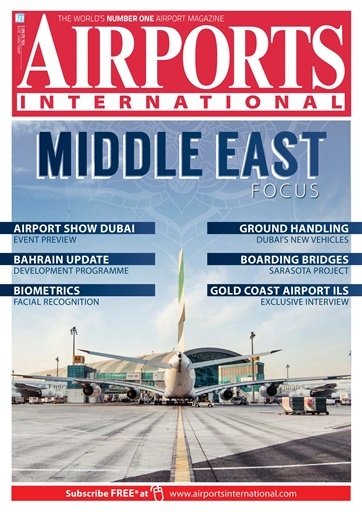 The magazine offers a lively mix of features covering the construction, finance and management of the world’s most important airport development projects, as well as providing information on the technology that makes them tick. Regular industry reports analyse the current airport issues and provide well-researched information to aid the decision making process. The magazine is available free of charge to qualifying airport industry personnel and also by subscription for non-qualifying readers. Airports International is published 9 times a year. PLEASE NOTE: you will need to register and update your details on a periodical basis to receive. You'll receive 9 issues during a 1 year Airports International magazine subscription. You'll receive 9 issues during a 1 year Airports International magazine print subscription.